Ahh, the PlayStation Phone. One of the few phones to be as longed for as the white iPhone 4. Photos have been leaking of Sony Ericsson’s PlayStation branded handset for some time now but now the gents over at Engadget have managed to get their hands on one – and they’ve not been shy when it comes to sharing all the juicy bits with us! Now expected to be branded as the Sony Ericsson Xperia Play, this slider handset sports all the usual specs we’ve become accustomed to: 4inch 854×480 LCD display, 8 megapixel camera and of course that slide-out PlayStation style controller. Engadget’s thorough preview shows off the phone’s Android 2.3 operating system complete with some neat-looking Sony Ericsson customization. We’re not usually a fan of skins but it seems to fit this particular device well, presumably due to the whole PlayStation feel. Perhaps the most interesting specification is the CPU. With so many handsets going for the ‘more cores is better’ approach it’s perhaps a surprise to see Sony Ericsson is going with a single-core affair running at a maximum 1GHz. Fortunately it’s coupled with a generous 512MB of RAM. Despite the single-core CPU, the Xperia Play still manages to kick out some impressive benchmark numbers. …scored a chart-topping 1,689 on Quadrant and an impressive 59fps on Neocore. Other benchmark scores include: about 35 MFLOPS on Linpack, and around 43fps on NenaMark (tying with the Tegra 2-packing LG Star). Unfortunately Engadget wasn’t able to dive into the phone’s PlayStation Pocket app too much as there currently isn’t any content available to test, which given the handset isn’t even officially announced yet isn’t a great surprise. When tested with emulators though the gaming controls seemed to react as expected though the R and L buttons’ lack of travel was noted as a possible negative. It’s worth remembering though that this device could well change before it hits stores. 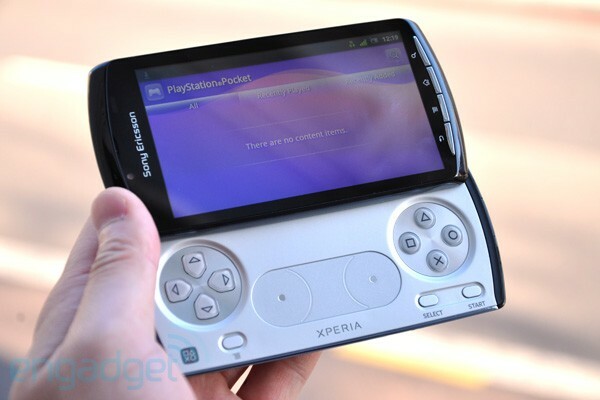 I thoroughly recommend your read Richard Lai’s full preview to get the lowdown on the Xperia Play and keep an eye on RedmondPie.com for more info as we get it. We’re excited to see where the Play goes with its PlayStation branding and we’re sure you are too!